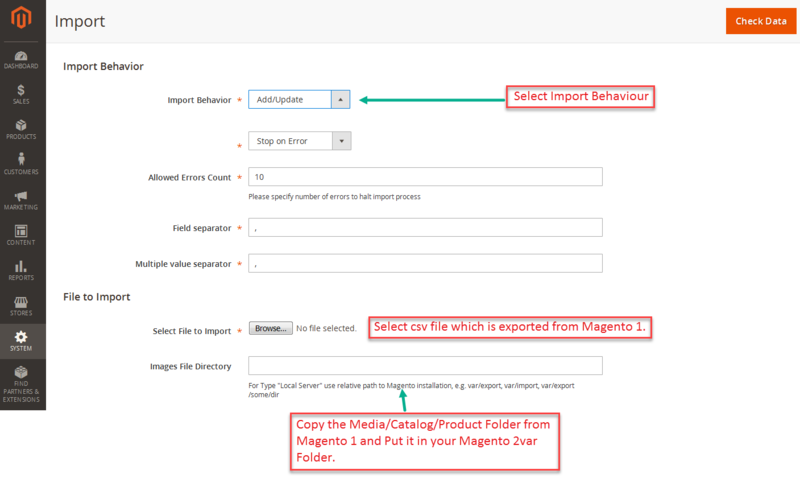 Export Products in CSV file as per Magento 2 default import functionality. Using our extension you can easily migrate products data from Magento 1 to Magento 2. Export Simple, Configurable, Bundle, Grouped and Virtual Products. Export Related, Cross Sell and Up sell Products. Export Advanced Pricing as per Magento 2 requirement. Using our extension you can export the products from Magento 1 and Import them using Magento 2's default import functionality easily. Our extension support Simple, Configurable, Bundle, Grouped and Virtual Products. You can easily migrate your products from Magento 1 to Magento 2. How to Export Products using Extension From Magento 1? 1. 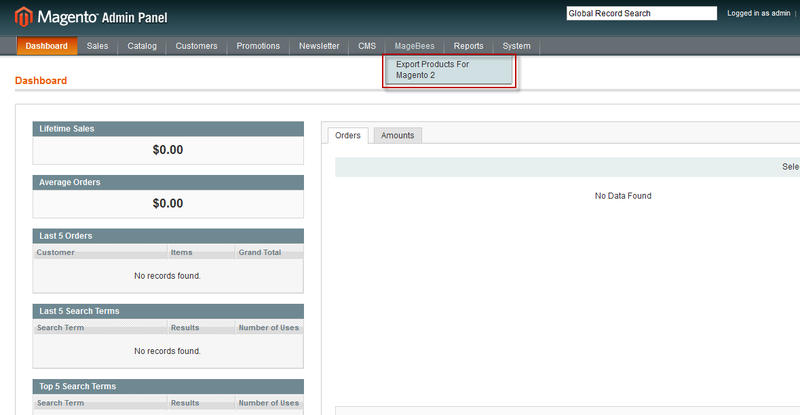 First go to MageBees > Export Products For Magento 2 Menu in admin panel. 1. Please select store from which, you want to export products. 2. Select Fields dropdown. Here you will get various options. 3. Select attribute set if you want to export products attribute set wise. 5. Finally, Click on Export Products button. You will get waiting screen. In Generated CSV’s name timestamp will be automatically added. And you can get this CSV in Magento-Root/var/export/ folder. How to Import Products in Magento 2? 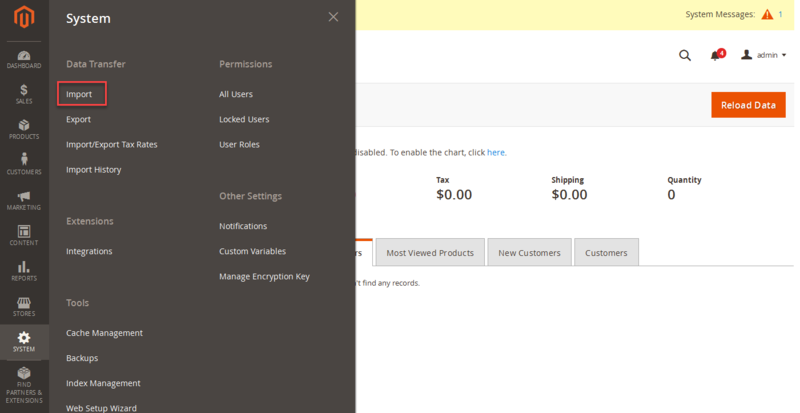 Login in your Magento 2 admin Panel. Go to System -> Import. 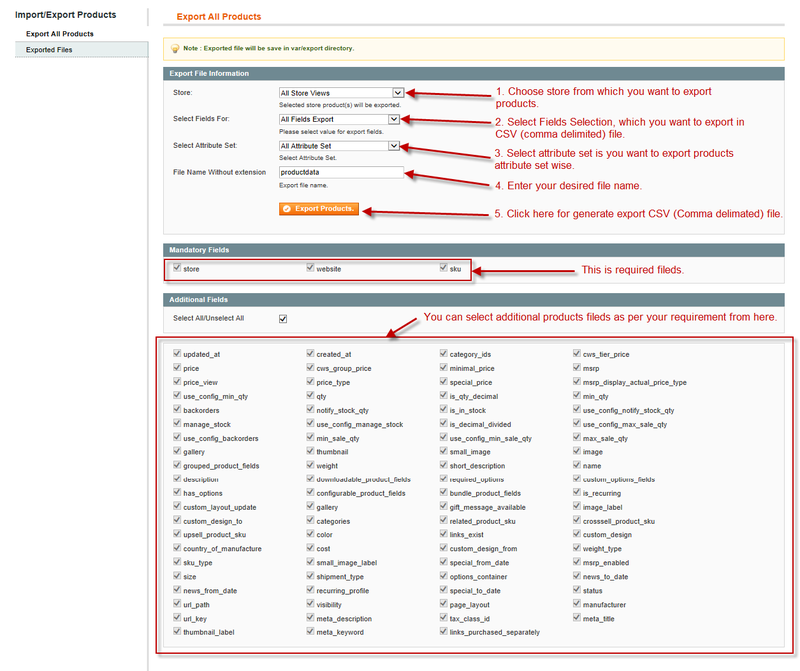 Now select “Products” from Entity Type for import the products in Magento 2. Select your Import Behavior like you want to Add/Update Products. Select csv file which you exported from Magento 1. For Images File Directory you have to copy “media/catalog/product" Folder from Magento 1 and put it in “var” folder in your Magento 2. So your Images File Directory value should be var/product. Now click on Check Data button. Now, it takes less time when migrating product data from Magento 1 to Magento 2. You can export all product types quickly and without worrying about data loss. The extension is very handy and affordable. Migrating product data can be a headache if you have to do it manually. It becomes even more tiring when you have thousands of products to move from Magento 1 to Magento 2. Thanks to MageBees, we were able to finish the work with a great speed. We were even able to migrate bundle products and configurable products swiftly. I would like to mention the services offered by the company. They make installation and configuration so easy. Best ever! It didn’t quite work for some of the custom fields I had, however it took a lot of the legwork out of exporting/importing 150 products... just don’t expect it to do it all for you! Easily migrate data from my magento 1 store to my new magento 2 store. Products Data Migration from Magento 1 to Magento 2. Q-2: I am getting "var/expor' directory does not exist !" error? Ans : First export products from Magento 1. And then copy your “media/catalog/product” folder from Magento 1 and Put in your var folder in Magento 2. Then define “var/product” path in “Images File Directory”..
Q-4: How to import Advanced Pricing in Magento 2? Ans : In Magento 1 select "Advanced Pricing" from Select Field from dropdown and export the products. Now in Magento 2 select Advanced Pricing from Entity Type in Import Page. Select csv file which you exported for Advanced Pricing and import the products.